#Office365Challenge Yes we’re trying to change culture. Yes we want to collaborate more and be more efficient, but most of us still hang around in Outlook, right? Bad habits are hard to break – and there is a place for everything, for a reason. 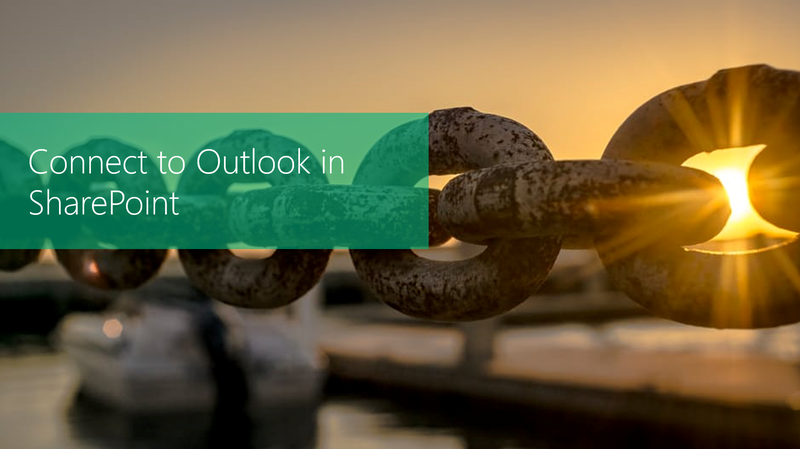 So, Microsoft brings SharePoint right into your Outlook – to make your life easier. AND to make the transition easier. As mentioned above, there are a variety of apps in SharePoint that allows you to “Connect to Outlook”. In this example you’ll see the “Connect to Outlook” button under my Calendar Tab. Depending on how your authentication is setup – you might be asked to allow the link and to enter your credentials. You know it’s your SharePoint site – trust it. 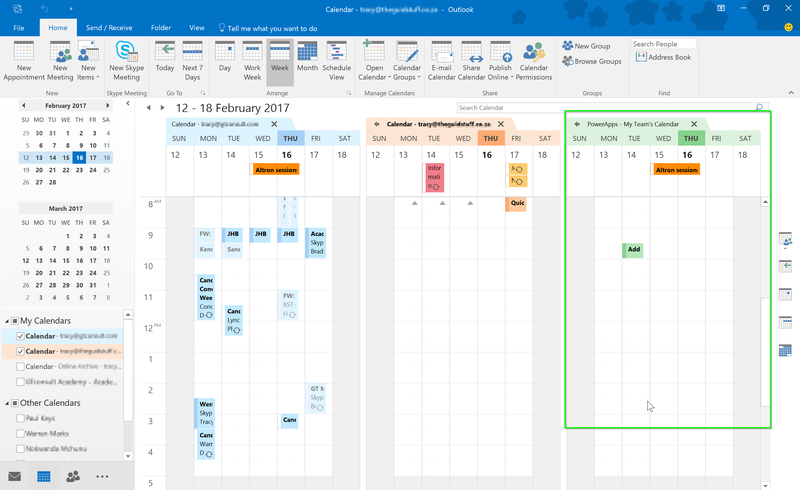 Once the Calendar is linked (for example), you’ll now see the Calendar in your Outlook. You no longer have to go to Sharepoint to update events, you can add them – right there in your Outlook. You can also drag items from your calendar to the SharePoint Calendar. Keep in mind: If you drag an item from your Outlook Calendar to the SharePoint Calendar – IT’S ONLY A COPY. if you change the one in your own calendar – it will not update SharePoint. Any changes you make on the SharePoint Calendar in your Outlook will update to the SharePoint calendar. Many of the apps in SharePoint can be “synced” with your Outlook – have a look and try them out. Be careful though, the more apps you sync with your Outlook – the longer it will take to synchronize.